Think of how your readers will feel about your subject or topic. And when you write an exemplification essay, you have to find, gather, and provide a lot of examples to support your generalization. When you pick an example, make sure that it is relevant to your topic, otherwise your readers will be confused. Direct to the point. Though you have loads of examples, which are necessary, you should only choose the ones that are significant to what you are writing. In other words, include only the strongest examples. Make a list of all your examples so that it will be easier for you to choose which ones you will describe in your essay. It is the same as making an outline to keep track of every detail. Aside from facts, you can also use short stories and anecdotes, as examples in supporting your generalization, as long as they are of relevance to your topic. Be careful in choosing your examples and make sure that your readers can relate to it and make sure they will get your point. Your examples should also be representative, which means they should reflect the majority and represent what is usually happening to most individuals. For your readers to have a better understanding of what you are trying to exemplify, make sure that they will be able to follow your chain of ideas. To avoid confusion, do not include less common situations when providing examples. You can also do a research on samples of exemplification essay so you will have a reference when doing your own essay. Take note on the subject or the topic, as well as the format in the samples you find. They will help you fully understand what an exemplification essay really is. As stated above, an exemplification essay employs a series of examples with the aim of providing an illustration to a point. Therefore, using a good exemplification essay outline in the provision of these examples will ensure that the paper delivers the point in question at its entirety. Below we will provide the purpose and process of developing an outline that is used in the delivery of an exemplification essay. By sampling the outline of an exemplification essay, it is going to be possible to determine some of the key elements that are associated with such types of papers. The purpose of an outline in an exemplification essay is to allow for the delivery of the paper in a manner that expounds different exemplars that ensure that the general message is delivered in an understandable manner. For instance, the introduction of the exemplar is within the outline format with the intention of providing the reader with a rough idea of what to be expected within the paper. The introduction could be broken down into paragraphs with the last paragraph containing the thesis statement that is a summation of the key points to be supported or argued against within the exemplification paper. The purpose of the exemplification essay outline is also to provide the reader with some of the key points to be argued within the paper. This means that each one of the subheadings would contain the main points to be discussed within that section of the paper. This makes it easy for the person reading the exemplification essay to identify different key issues being addressed by simply skimming through the paper. This also allows for the instructor to award the student or individual writing the exemplification paper with appropriate points for ensuring that each of the key points has been pointed out and thus addressed to the full. The process of writing an exemplification essay includes the preparation process. This means going through the instructions so that one can identify each element as pointed out at their entirety. This allows for the identification of the key issues to be addressed in the paper. The researcher should also go through the texts, if provided by the instructor, so that one can gather the ideas needed in the preparation of the exemplification paper. It is also important to identify other sources that could provide the researcher with the appropriate content that would ensure that the exemplification essay is easy to understand. Developing a rough draft should allow the student to identify the key topics that are required for the completion of the exemplification essay. It is also important to identify different sources that are associated with each section of the paper. This is so that the exemplification paper can be found to contain relevant examples within each one of the sections. It is also important to identify different issues that may be contained in the exemplification essay during the development of the rough draft. 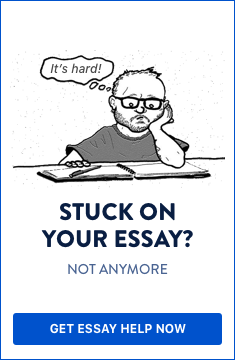 Upon completion of the essay, it is crucial to develop the final draft and have another person correct the paper by going through it carefully. This ensures that the final paper satisfies all the requirements in the instructions. This part of the paper should have a hook. The purpose of the hook is to interest the audience. The introduction also provides a brief explanation of the plot or the theme to be explored in the paper and thus the reason the theme was selected. This part of the exemplification essay provides an understanding of the kind of audience that should benefit from reading the paper. The introduction ends in a well-rounded thesis statement that prepares the reader for the different arguments and examples to be used in the paper. The conclusion starts with a restated thesis statement that provides one with the required information that allows for the development of the required solution. The conclusion can also provide an appropriate action that can result in the resolution of any issues that are identified in the exemplification paper. The exemplification essay also provides details of different implications that one could have identified in the paper. The conclusion also provides the reader with thoughts to think about upon completing the readership. It is important to remember that exemplars are written around a thesis statement. Therefore, the exemplification paper should be written in a format that surrounds the key pointers that have originally been identified in the thesis statement. It is also important to remember that one can use as many examples as possible within the paper. However, it is important to ensure that the examples used in the paper are relevant to the issue being addressed within the paper. Therefore, it is crucial that the author begins the paper with the strongest most relevant examples, and ends with the weaker examples. This should ensure that the basis of all the stated requirements have been addressed in the paper. One can also find that different examples used in the paper may result into a different conclusion and thus one can mold the thesis statement to fit these conclusions as found in the paper. The paper could also be organized such that different examples start with the least controversial and finish off with the most controversial ones. One can also choose to start off with the most important examples and finish off with the least important one. The general idea is to follow a pattern that either creates a better understanding in the reader or provides the reader with details of the most important examples. The exemplar is as good as an effective outline. This is because the outline of the paper should provide the reader with all the details they need to identify different issues that can be used to determine the general conclusion of the paper. It is important that the development of the outline goes hand in hand with the available content so that the subtopics used in the paper align with the thesis statement. However, upon revising the paper, one can change different topics so that the solutions to be identified in the paper result in finding the appropriate solution expected for the problems raised in the paper. Below there’s a list of creative exemplification essay topics to be considered for writing. Discuss the impact of the current level of technologies on our culture. Examine the impact that the growing number of fast food restaurants has had on America. Debate on the impact that hoarding has on families. Deliberate the impact that online education has had on traditional education. Converse the impact that businesses feel from social networking. Discuss the impact of religion in the modern culture. Should everyone receive free medical care? Is a college degree necessary in the modern society? Should schools enforce any religious beliefs on their students? Are gun regulations tough enough? What is the Purpose of an Exemplification Essay? An exemplification essay exists to prove a point. In writing the exemplification essay, you must put forward arguments and reasons why you have taken a stance or chosen a particular point of view. To do this, the writer must include detailed information and credible sources. How to Write an Introduction for an Exemplification Essay? To introduce your exemplification essay, you will want to give an outline of your main idea or thesis on the chosen topic. Explain what your point is and give an indication of how you plan to prove your point to the reader. How to Write a Thesis Statement for an Exemplification Essay? In order to write a thesis statement for an exemplification essay, you need a firm understanding of the topic and its main points. Based on this, you will formulate your main point or idea that you want to argue and from this you will draft your thesis statement. What is a Good Hook For an Exemplification Essay? A good hook for an exemplification essay is one that is guaranteed to grab the reader’s attention. This includes, but is not limited to, a relevant anecdote, quote, statistic or question. Is There a Difference Between an Illustration Essay and an Exemplification Essay? A well-written illustration essay explains how to use something and does so with the support of detailed information and evidence on how to use. An exemplification essay is written to prove a point. Based on the definitions, it could be stated that an illustration essay and exemplification essay are similar as both are used to explain and prove a point. A good exemplification essay topic is one that is not too narrow or broad so that it is difficult to determine the main point/thesis and to argue it. Good exemplification essay topics allow for exploration of ideas with a variety of sources for information. What are Exemplification Essay Transition Words? Exemplification essay transition words include such as words as: for example, for instance, to illustrate, to demonstrate, etc. How to Write a Conclusion Paragraph for an Exemplification Essay? In the conclusion for an exemplification essay, restate your thesis and summarize your main points. Be sure to leave your reader with at least one main point that you want them to recollect. To sum up, writing an exemplification essay is more about using examples to defend or support an argument, or claim. Brief examples are commonly used in an essay, but using concise details will illustrate the ideas clearer. And make sure that your way of writing is unambiguous. Still having trouble? Go over the tips outlined above on how to write an exemplification essay or let experts help you with it.